Uniqlo, a global apparel brand, enjoins you, to be more powerful in expressing your personal style. 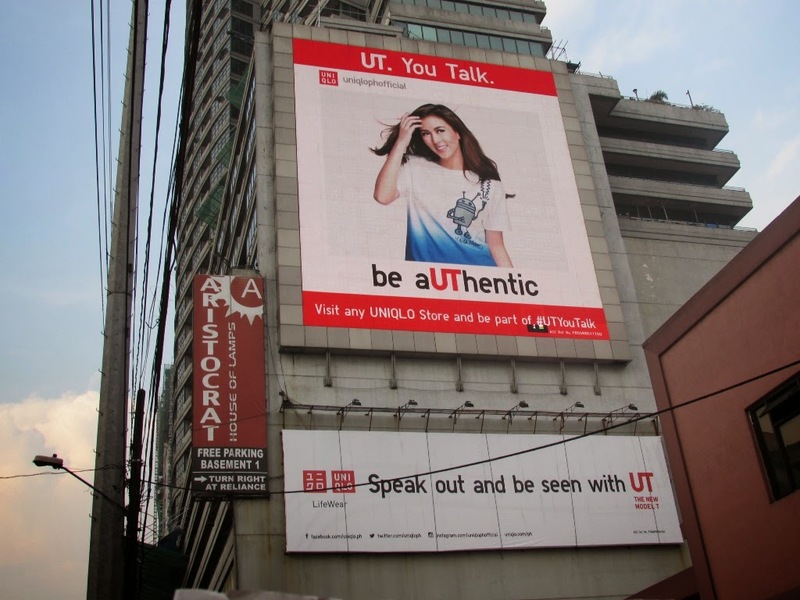 Unveil your creative streak and participate in the global label’s “UT You Talk.” campaign and get a chance to be featured on Uniqlo’s LED billboard on EDSA. To make your posts more compelling, use the hashtag #UTYouTalk and tag Uniqlo’s social media accounts: @uniqloph on Twitter, uniqlo.ph on Facebook and @uniqlophofficial on Instagram. I'm supporting this conversation by posting a photo of myself via Instagram wearing my Hello Kitty UT Shirt and denim jeans!